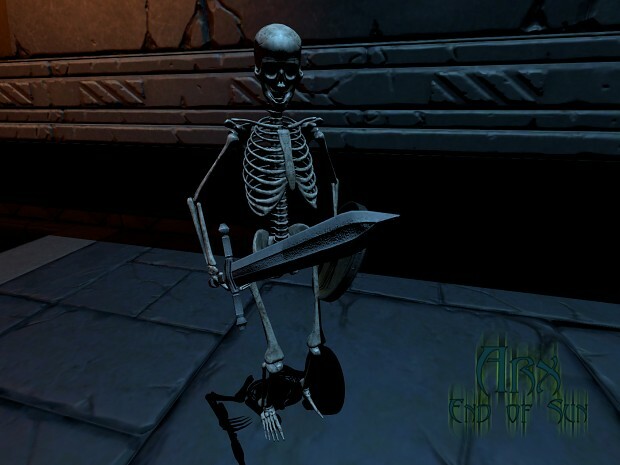 Izhido has spent several months working on a port of Quake for Apple's OSX. He has three targets for his project: OSX 10.11, tvOS 9.1, and iOS 9.3 for iPhone. The iPhone one is specially made for doing 3D VR, with something like Google Cardboard. There's no execuatables but you can obtain and compile the code yourself. The code is on his github page. Thanks to Func_Msgboard for the post. 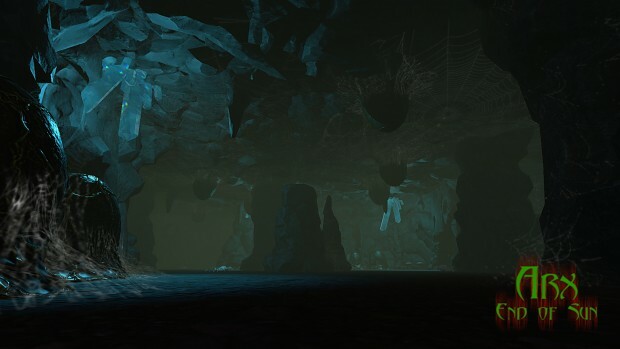 This map is a remake of Quakes e3m2 "The Vaults of Sin" which doesn't meet the quality standards of the man himself, Sock. Sock wrote: "...it's subpar, definitly not your best work, you should release it standalone, im not going to include it in the next release.."
You can download it here. 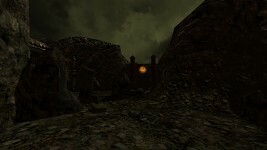 You'll need Arcane Dimensions v1.4 & patch2. Thank's to Func_Msgboard for the post. A completely free and standalone game that is now available to download and play. 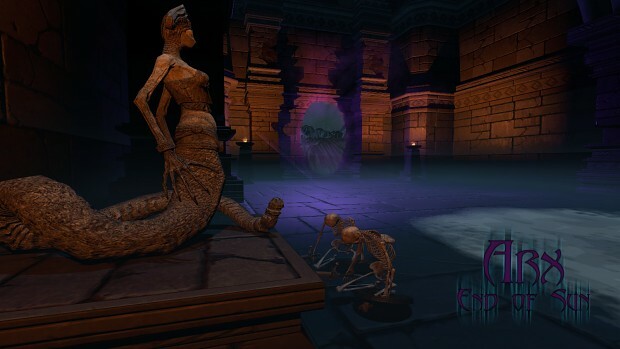 Based on the game Arx Fatalis created by Arkane Studios. Note you do not need to have played the original game to enjoy Arx EOS although we recommend you do as it's a fantastic game! Over 5 years in the making from initial idea to release, a lot of time, effort, blood, sweat and tears have gone into the making of this Doom3 total conversion. Created by a very small team of hardworking volunteers, everyone has worked for free in their limited amounts of spare time, often sacrificing other activities or taking time off real work to work on this game. DoomTrinity: Programming, scripting, animated models. 1000’s of lines of new C++ and DoomScript code. Nearly 2.5 thousand new textures. About 1000 new models, static and animated. All commercial assets removed and recreated / replaced. 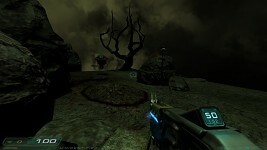 A fully standalone game that bears almost no resemblance to its Doom 3 past life. A long main quest spanning all 16 of the released levels. A treasure hunt side quest. Over 10 new monster types to fight against including: Goblins, Zombies, Poisonous Spiders, Rats, Demons, Snakes, Trolls, Cave Piranha, Reanimated Skeletons, Ylside Predecessors… There might even be a boss? 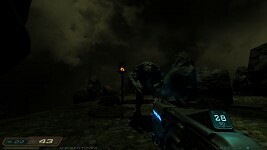 A unique feature to the Arx EOS id Tech 4 code enables the player to revisit the levels as many times as needed to complete the game. Items collected / dropped, quests completed and monsters dispatched retain their state across the levels each visit. There are often several ways to complete sections of the game and you do not have to complete much of it in any particular order. You are quite free to explore the game world as you see fit. The public beta has undergone several rounds of play testing and critical bug fixes before being released to the public and we have tested the game to be beatable from start to finish, however it is still possible that other issues remain, so please report game breaking issues to us so we can address them. We are currently not looking to address minor or superficial issues at this time. The release is currently available for Windows in English language. We hope you enjoy playing the game! I haven't tried the new release yet, but the previous one was action packed and a lot of fun to play. Give this one a try! You can download it at moddb.com. 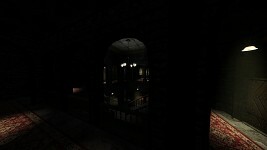 You can read constant develpoment updates over at the Hallowed Mod website. 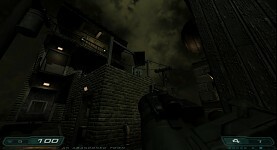 Modder nbohr1more interviews the Dark Mod mapper Goldwell who's on his fourth The Dark Mod custom mission, Accountant 2: New In Town. 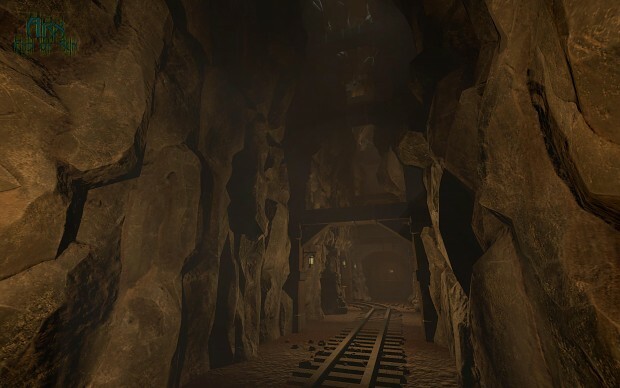 They also show some screens from two other new maps. You can read the interview at moddb.com. Youtube channel ScottishGeeks got Doom and is giving it a play through. They've done some other Doom stuff over the years and have some fun play through videos. So, if you're not sure if you should buy this game (I'd say yes, it really is a really good throwback to '93), give it a watch and decide for yourself.